I love the shape of those carrots! Good Luck to the youngins on their exams! Sherimiya is absolutely right! This bento looks beautiful! I can not make such a great one if I am ready for it =) I love how you have cut out the carrots. And your riceballs are delicious looking. Say, are the edamame raw or cooked? I have some in the freezer, but don't know how to use them right. Beautiful bento! I love those carrots, they look so delicate! I can't believe you did this even though you were so tired, you are such a great mom! @Susan Yuen : Thanks Susan for your kind words. You are a great mom too! I love your idea of simple! Your bentos are to DIE for! They're wonderful! I just found your blog, via FoodBuzz I think, but I can't remember. Anyway, hello from California! Love your tips and ideas and recipes. Thanks for sharing. I'm just back into packing lunches for my 15 year old. 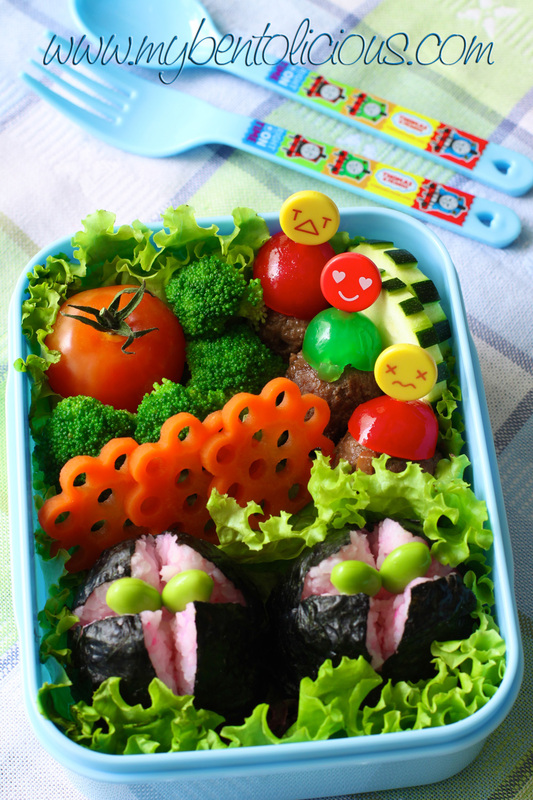 I don't do bento really, but gather lots of ideas to make a fun lunch for her.